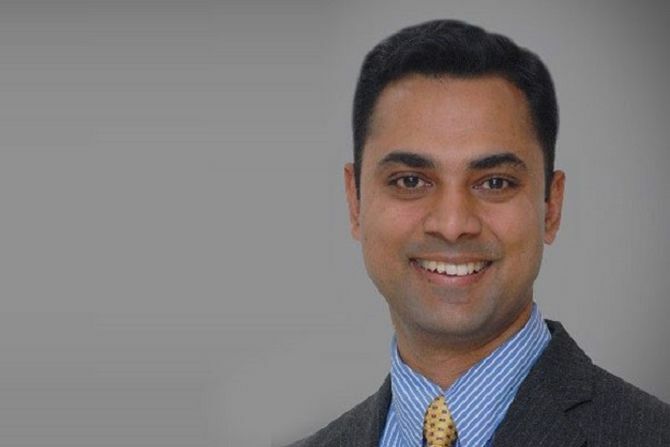 The new Chief Economic Advisor Krishnamurthy Subramanian said that controlling inflation was the Modi government’s biggest achievement. Critics point out various lacunae in the income support, including the amount to farmers. Your take. A narrative that preceded the Budget talked of loan waivers. I have a research study that was recently published. It examined the farm loan waiver announced by the United Progressive Alliance (UPA) regime. Benefits from that were cornered by not-so-deserving borrowers. Then, loan officers at the ground level become reluctant to lend to farmers. You have to keep in mind that the interim Budget announced income transfer. Unlike minimum support prices, this cash transfer enables farmers to take a decision about which crops to grow. So far, as the amount announced in the scheme is concerned, let us look at some numbers. Small and medium farmers are looking at annual income of Rs 35,000-36,000, which could be taken as their average income. Rs 6,000 announced in the scheme is actually one-sixth or 16.66 per cent of their annual income. It is not a trivial amount. This is an assured income, which takes care of risks farmers could encounter, such as crop failure. What about landless tillers? The scheme does not cover them? A survey, conducted a few years ago, shows that 14 per cent of all people engaged in agriculture are landless tillers. The proportion is not as large as small and medium farmers, who constitute 60 per cent of the total. Remember there are other schemes for landless tillers such as minimum support prices, fasal bima yojana, the Mahatma Gandhi National Rural Employment Guarantee Act, priority sector lending. As a policymaker, you have to make choices. There are many statements that fiscal deficit numbers would be less than what is given for FY20 in the interim Budget because of revision in GDP numbers, which came on Thursday. What is your estimate? If we go back to GDP numbers based on the latest estimates, GDP would be about Rs 235 trillion. In that case, we would be looking at a fiscal deficit of 3.1 per cent of the GDP for the next financial year, primarily because the base increases significantly. Revised estimates for GST now stand at Rs 5 trillion for 2018-19, which is Rs 1 trillion less than Rs 6 trillion made at the time of Budget Estimates. Do remember that GST collections are higher towards the end of the year. On the other hand, expenditure continues through the year. In that sense, revised targets for GST and fiscal deficits would be met. In the last four years, slippages have not been large from the calculations that have been made for revenues and expenditures in the revised estimates. Is pension scheme announced in the Budget for unorganised sector implementable? Incentives are there to self-declare. When there is a scheme like this, th­ere is incentive for everyone in the unorganised sector to avail it, as they know quite well that there is no other assured income after 60 years of age. People would definitely utilise it. Your predecessor has advocated the idea of universal basic income (UBI). Is it implementable? Economic survey talked about it two years back. That survey had put out pros and cons of the sch­eme. I don’t have anything to add to it. What, according to you, have been Modi government’s two biggest economic policy achievements, and two things it could have done better? A major achievement has been that inflation has been brought significantly under control. Setting up of the Monetary Policy Comm­ittee has been a big step. There is also the growth rate. Here we have an average growth of 7.3 per cent over this government’s term, the highest by any governm­ent since liberalisation, together with low inflation. Another has been the Insolvency and Bankruptcy Code, which is I think very important. Some aspects we are still working on, one is GST. The world over you have seen that a structural change like that is something that takes time to stabilise. A second thing that we have to work on are the quality of jobs. People talk about unemployment rate. Debating the rate of unemployment rate misses the point entirely. The key aspect is meaningful employment. The way that can be done is skilling, which takes time and investment. The process of preparing people for quality jobs is something that we are working on, through initiatives such as Skill India.